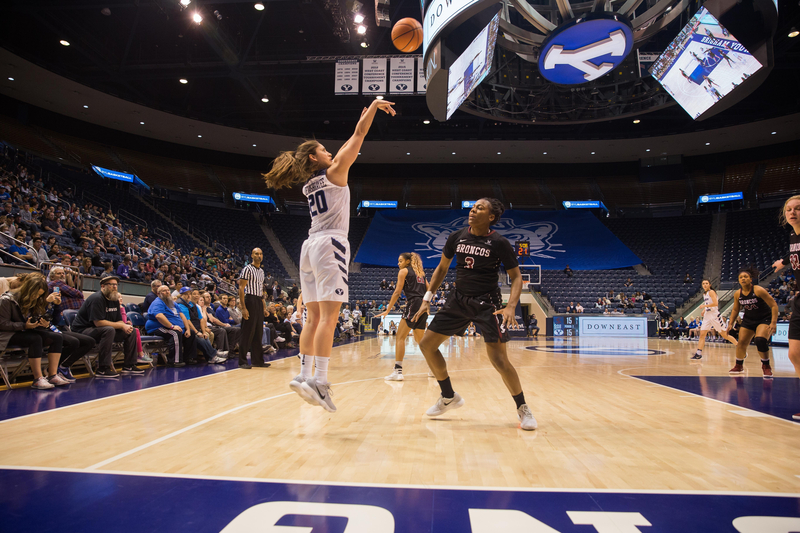 BYU women’s basketball put up a good fight Saturday, Jan. 20 on the road against San Diego, but fell short in the end, losing 70-69. Brenna Chase started the game with a wide-open layup for BYU’s first bucket. The first quarter was a defensive battle for both teams, ending in a 7-6 lead for BYU. Malia Nawahine was BYU’s leading scorer in the first half with seven points. At the beginning of the second quarter, Chase made yet another clutch shot to give BYU the lead 24-23. It was a back-and-forth affair early on, with the scored tied for the fourth time 24-24 midway through the second. The Cougars trailed the Toreros 35-30 at halftime. BYU stayed right behind San Diego 44-38 in the third quarter. Judkins called a timeout as the Toreros extended their lead 52-41. BYU now cut the deficit to 52-46 of a Sara Hamson layup. Just before the buzzer sounded Cassie Devashrayee made her shot to give the Cougars a little boost going into the fourth quarter. At the end of the third quarter, the Cougars were just barely behind the Toreros 58-52. With eight minutes left in the fourth quarter, BYU cut the lead down to four, with three players in double figures. Cassie Devashrayee had 23 points, Hamson 12 and Malia Nawahine 11. BYU went on a 6-0 run in the final two minutes to bring the game within one point. 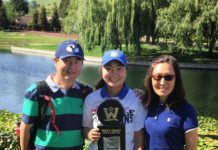 The Cougars fell just short of the comeback, however, as the clock ran out on their hopes. The team’s record falls to 11-8 on the season and 6-2 in conference play. BYU welcomes Saint Mary’s to the Marriott Center Thursday, Jan. 25 at 7 p.m. MST. 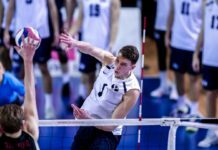 The game will be broadcast on BYUtv.